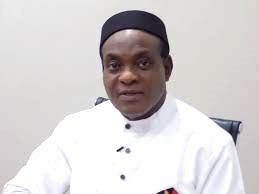 The Presidential Candidate of the Nigeria Democratic Congress Party (NDCP) in the last presidential election, Dr. Johnson Edosomwan has called on the Independent National Electoral Commission to stop threatening political parties with deregistration even while elections are still in progress. The International Development Consultant said that it is unfair and insensitive for INEC to be wielding such a huge stick when political parties are struggling through a stiff, electoral process that is faulty and in a difficult political terrain as we have it presently in Nigeria. Citing the Constitution of the Federal Republic of Nigeria (1999) Fourth Alteration No 9 Act, 2017, signed into law by President Mohammadu Buhari, which amended Section 225 of the 1999 constitution, that empowers INEC to de-register political parties on grounds of (b) failure to win at least 25 percent of votes cast in (i) one state of the federation in a presidential election, or (ii) one local government in a governorship election, or one ward in the chairmanship election or one seat in the National or state house of assembly election or one seat in the councillorship election. Edosomwan said that the law is clear on the process and procedure of such a de registration of political parties. He emphasized that it is wrong for INEC to bully parties into deregistration since the election process has not been finalized. He went further to state that, it this same law that empowers INEC to deregister political parties that will also stop INEC from being able to deregistering political parties because firstly, “litigations are all over the place which will take time to resolve and that apart, we are also going to be faced with the inability of some governors to conduct local government elections which is required by the amended constitution before INEC can decide to deregister any party that did not win a local government election or a councillorship seat or score some percentage in the local government election. Dr. Johnson Edosomwan said that it is undemocratic for INEC to target parties for deregistering as this time. “Targeting political parties for deregistration on INEC’s part is hasty and confusing. That shouldn’t be INEC immediate focus at this time. It is unproductive for our democracy and will limit and reduce the vibrancy of our democracy and our democratic values. “For the interest of our nascent democracy, my advice to INEC is to focus on all the complaints that are being made about its inefficiency, correct the anomalies in its processes allow healthy fertilization of cross ideas through strength to the political parties, in order to build our political process, instead of bullying the political parties into submission and deregistration. “We have particularly at NDCP had a setback which ofcourse affected us at the polls for instance the National Publicity Secretary of our party, Mr. Ayodele Oguntoye, has not been on ground for many months having left the party and relocated to America for many months now, leaving the party to suffer at the polls. Nonetheless the party waded through the election and we are still in it,” he added.